After centuries of persecution, oppression, forced migrations, and exclusion in the name of Christ, the development of a Jewish “Quest for the Historical Jesus” might seem unexpected. 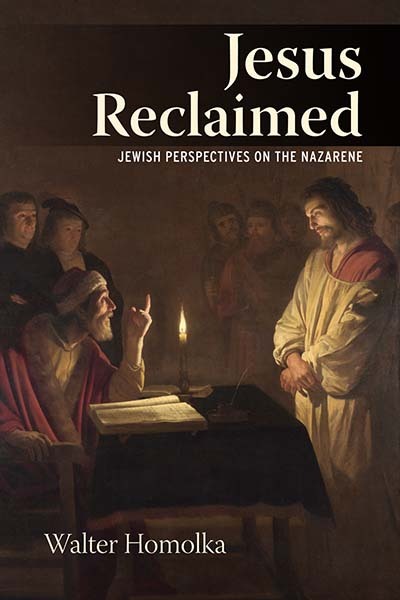 This book gives an overview and analysis of the various Jewish perspectives on the Nazarene throughout the centuries, emphasizing the variety of German voices in Anglo-American contexts. It explores the reasons for a steady increase in Jewish interest in Jesus since the end of the eighteenth century, arguing that this growth had a strategic goal: the justification of Judaism as a living faith alongside Christianity. Rabbi Walter Homolka is the rector of the Abraham Geiger College, Germany’s first rabbinical seminary after the Holocaust, and a professor of Modern Jewish Thought at the School of Jewish Theology of the University of Potsdam in Germany. Active in Jewish-Christian dialogue, he is author of many books, including The Gate to Perfection: The Idea of Peace in Jewish Thought (Berghahn 1995), Jewish Identity in Modern Times: Leo Baeck and German Protestantism (Berghahn 1995), and co-author with Hans Küng of How to Do Good & Avoid Evil: A Global Ethic from the Sources of Judaism (Skylight Paths, 2009). That Jesus Was a Jew: A Cultural Coincidence? The “Rabbi Jesus”: For Christians Only as Important as Christ?